The Tumacacori Highlands harbor a greater diversity of plants and animals that most entire states across the continental U.S. Home to rare and sensitive species such as the five-stripped sparrow, gray hawk, Chiricahua leopard frog, and Mexican vine snake, the Highlands are an ecological treasure long recognized as an area deserving of wilderness protection. In 2004, AWC helped kick off the Tumacacori Highlands Wilderness Initiative, which eventually made its way to Congress as a part of Rep. Raúl Grijalva’s (AZ-08) legislative agenda in the Natural Resources Committee. This balanced initiative, which includes more than 20 access points and shares the support of dozens of local businesses in the Santa Cruz River Valley, has been challenged because of its proximity to the international border. In September of 2010, Rep. Grijalva reintroduced his Tumacacori Highlands bill in order to promote negotiations with the Department of Homeland Security (DHS). What's special about the Tumacacori Highlands? Wildlife Habitat. The area provides exceptional habitat for rare and sensitive species and offers refuge for many endangered species, such as the jaguar, peregrine falcon, Chiricahua leopard frog, and Mexican spotted owl. The Tumacacori Highlands also provide prime habitat for game animals such as while-tailed deer and javelina. Wilderness designation will ensure that these sensitive lands will remain free from development and degradation. Ecosystem Protection. A Wilderness Area is protected and managed so as to preserve its natural conditions and is recognized as an area where the Earth and its community of life are untrammeled by humans. Natural cycles, processes, and systems are conserved with Wilderness designation - these critical aspects of our "web of life" support much of our lives in many direct and indirect ways. Clean Air and Clean Water. 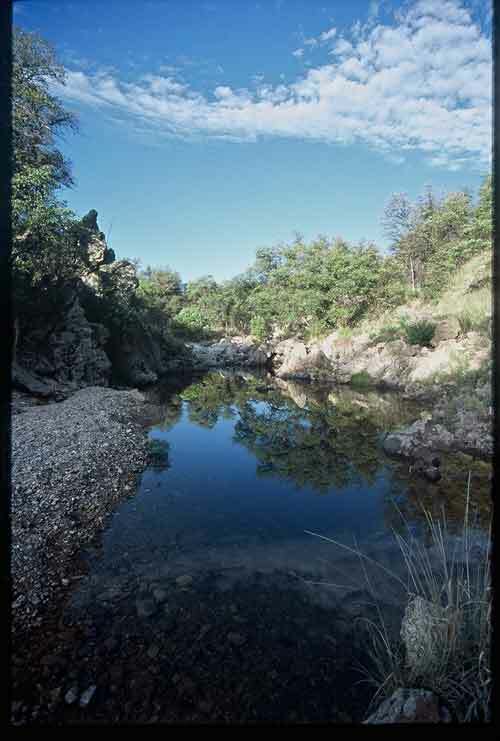 As part of the Santa Cruz River watershed, the Tumacacori Highlands provide a naturally functioning ecosystem that offers clean air and water for residents surrounding the area. Wilderness designation in the Highlands will help to keep our watersheds healthy into the future. Enhanced Non-motorized Recreation. As a popular hiking, backpacking, bird watching, hunting, and horse-packing area, Wilderness designation will enhance opportunities for visitors to enjoy non-motorized recreation in the Highlands. With a dwindling supply of areas to escape to, the Tumacacori Highlands Wilderness will offer respite and quiet away from our busy society. Much More! The Tumacacori Highlands Wilderness will help preserve the awesome scenic values of the area, protect cultural and historical sites, and provide excellent educational opportunities for us to learn important lessons in science, life, and the world around us. 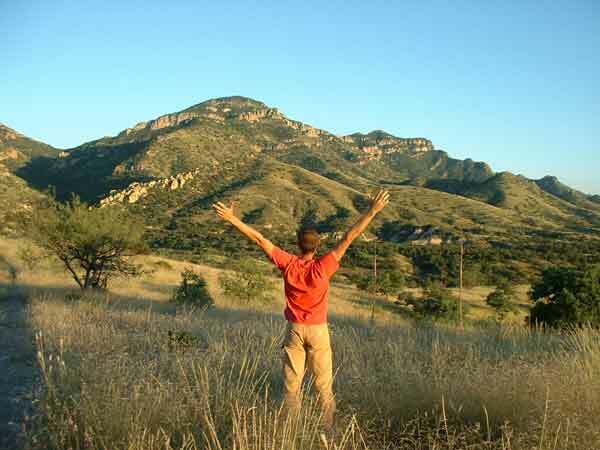 What Can You Do to Support the Tumacacori Wilderness? Write or call your Congressional Senator or Representative! Tell them why you support wilderness desingation for the Tumacacori Highlands and why they should too. To find the contact information for your elected officials, click here. Send in letters of support to your local newspaper, telling them why wilderness protection will best preserve the unique scenic, cultural, and wildlife attributes of the Highlands. For links to your paper's contact address, click here. Thank Representative Grijalva for his initiative to protect the spectacular wild character of the Tumacacori Highlands for this and future generations of Arizonans. Send a letter to his Arizona or Washington, D.C. office here.